1- Why the E-PROPS are the lightest propellers ? 4- Could a propeller be "too light" ? 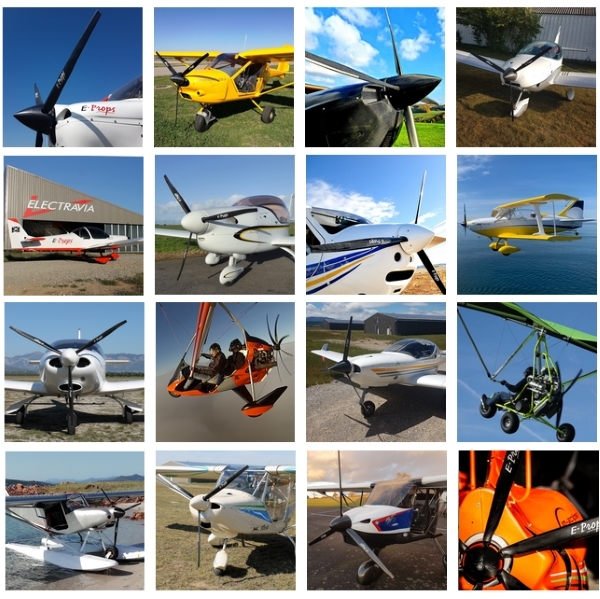 For E-PROPS, it is essential to design and realize the aeronautical equipments as light as possible, not for communication and regulation reasons, but only to respect the laws of physics. The E-PROPS team is always working to propose very light products, because in aviation, mass is the bigger enemy. From the beginning of the propeller design to the final finish, including all manufacturing process, every step has been thought to save weight as far as possible by the E-PROPS team. Everything starts with DESIGN. A well-kept and well-thought design of the parts makes possible to save mass significantly. 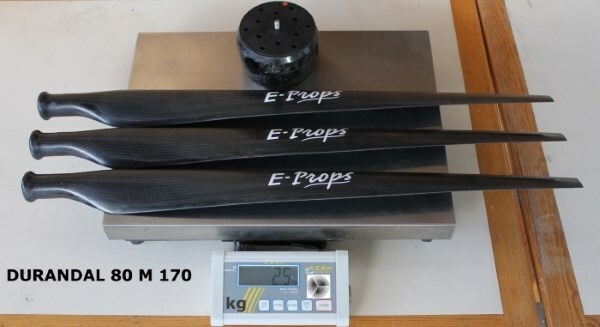 The E-PROPS are made in carbon braid, with continue fibers between upper and lower surfaces of the blade (very high resistance). The carbon presents by far the best compromise rigidity / weight. 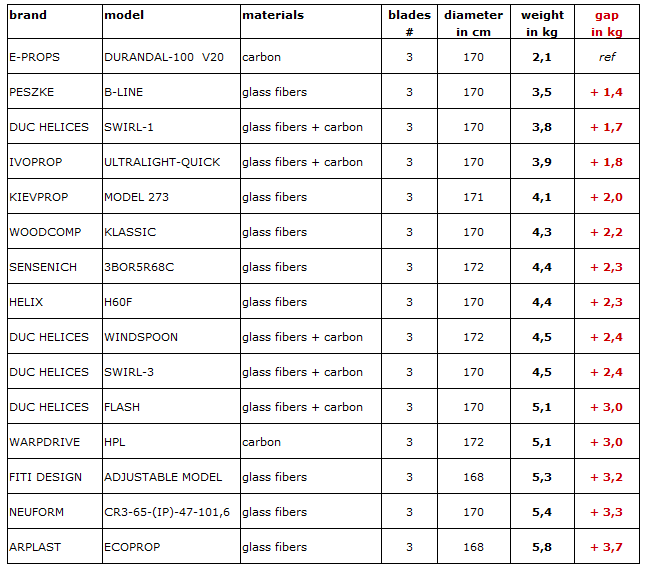 E-PROPS parts have a very high carbon fibers ratio (63%). The epoxy resin is the resin preferred in aeronautics. The E-PROPS are made with only carbon braid and epoxy resin : no fiberglass, no metallic parts, no mixture of materials. Simplicity is the ultimate sophistication ! The E-PROPS parts are injected with the RTM process (Resin Transfer Molding), which allows to save epoxy resin, while staying very strong. This process is used by some major companies as AIRBUS or BOEING, in order to reduce the weight of airliners structural parts, while keeping a high strength. RTM requires large investments, then it is very efficient to produce ultra-light parts, and allows to have a big production capacity. E-PROPS propellers are polished : it is the lightest solution and the blades stay shiny during their all life. They do not have a heavy gel-coat layer or paint coat, as many competitors props, which could shines when they are new, but which ages very quickly. A gel-coat layer can add more than 400 gr on a 3-blade 170 cm diameter propeller, et cannot be repaired once damaged. Furthermore, E-PROPS has chosen to produce propellers with the smallest possible impact on the environment : no varnish, no paint, no gel-coat. Here is a comparative of 3-blade composite propellers, tractor configuration, for Rotax 912S (100 hp) engines, ground adjustable pitch, diameters about 170 cm, screws included, without spacers. 3.1 - First of all, in aviation, any weight savings are important. [a] A light propeller allows to respect the maximal value of the MOMENT of INERTIA of the engine. - this allows a direct and enjoyable piloting, without strength, without gap between pressing the accelerator and the increase of RPM. - the propeller stops very fast : that is fewer risks of break in case of shock in the propeller. Less stored kinetic energy = fewer damages in case of impact. 3.4 - Finally, a lightest propeller would increase fuel endurance and safety. For example, a weight gain of 2 kg = 2,8 kg fuel, which allows to fly 25 km more with an aircraft with a Rotax 912 (consumption of 16 l/h). It is sometimes said that a heavy propeller is required for the engine to "rotate" at ground idle, that is, have a more constant rotating speed. 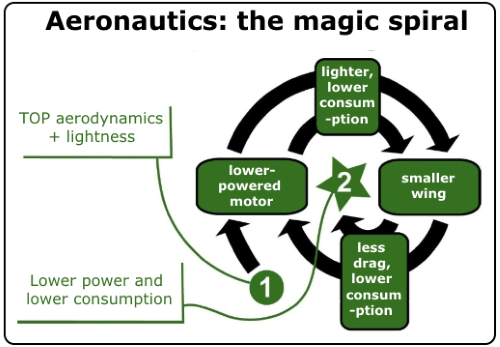 But if the speed variations are smaller, the variations in the forces between the propeller and the pistons (on the whole mechanical chain, reducer or not) are more important. And speed variations don’t cause damage, whereas forces variations, yes. The major engines manufacturers do not give minimal values of MOMENT of INERTIA. This shows that there is no problem to put a very light propeller, with a very light Moment of Inertia, on aeronautical engines. Even a very light propeller generates a sufficient flywheel. With an ultra-light propeller, the idle adjustment would be different, that's all.